Hearst Castle sketches : Rhoda Draws! 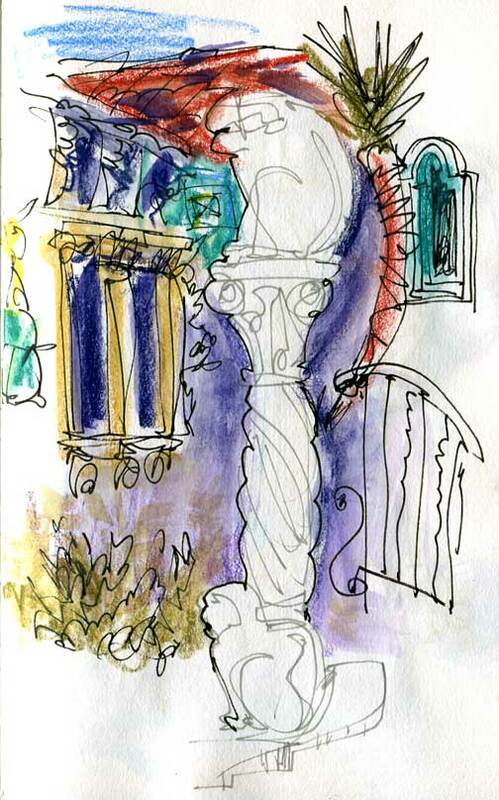 The buildings and grounds of Hearst Castle in San Simeon, CA, provides a feast for the eyes, and the sketchbook. The Casa Grande is an awesome structure that combines elements of Mediterranean Renaissance with Asian and Moorish influences. The three smaller Casas are a bit more manageable as subjects for sketching. The grounds are dotted with marble statues and artifacts from Hearst’s enormous collection.